I have been home just four months, and as soon as I can I am going back. I know exactly the spot I will make for. It lies away out in the ‘blue,’ a good thousand miles’ trek from Nairobi…It is paradise, literally as well as figuratively. Can you imagine a parched brown plain rolling off to a deep blue line against a turquoise sky, and in the foreground a group of zebras drinking from a pool that is gold in the afternoon sun – perfect little horses, elegantly striped in black and white…a herd of giraffes feeding among the gray-green thorny mimosas, animals eighteen feet tall, their deep burnt-orange hides covered with an irregular network of white lines…ugly rhinos snorting like great angry pigs just outside your hut…big as motor cars…King Lion himself…not the moth-eaten, stupefied lion of the zoo, but a free animal with healthy skin and mane, and an easy step, and live muscles that play visibly under his hide? 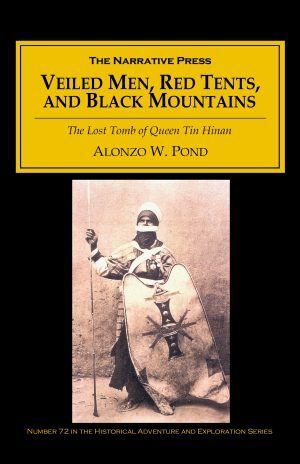 There is something about primitive peoples that appeals to me. I have no illusion about them. I know that they are ignorant and filthy in their habits and often, from my point of view, immoral. But for all that, a savage untouched by civilization has dignity. He is himself. I respect him as a human being. His code is not my code, but unless he has been contaminated by association with whites, he usually lives up to it. And that is more than you can say for the majority of people in civilized countries. 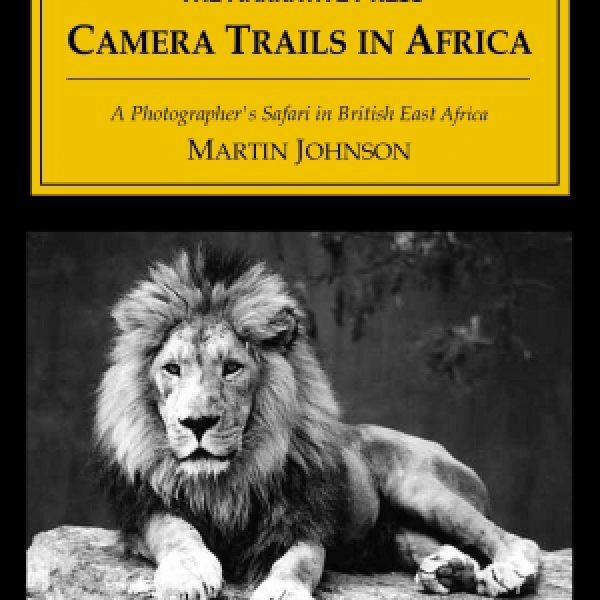 Martin was once a member of Jack London’s boat crew (see Cruise of the Snark, available from The Narrative Press), and may have picked up some skills from that famous author: Camera Trails in Africa is a beautifully-written book. 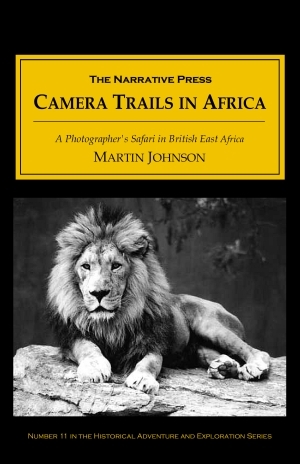 It makes you want to “safari off to some country that is still God’s country” and not only that, it makes sitting perfectly still in the bushes for twelve hours sound like a lot of fun.